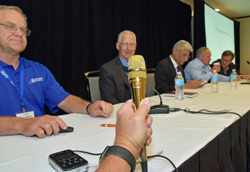 An interesting panel discussion took place this week at the 10th annual Corn Utilization Technology Conference (#CUTC16) about new and emerging technologies produced from the wet milling process of corn. For example, Kevin Coffman, part of the market development in ag environmental strategy group at Monsanto, discussed corn in the pipeline. The corn can be sold to an ethanol plant to produce ethanol and distillers grains, or could be sold for use in other products requiring food grade corn. However, said Coffman, a low carbon agricultural product such as ethanol, could just be the fuel of the future. 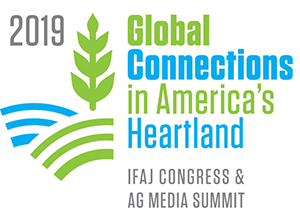 Fellow panelist Brent Shanks, Ph.D, with Iowa State University spoke about the conversion of biomes and biobased carbon into biochemicals and biomaterials as well as the paradigm of how to go after these products. Raghunath V. Chaudhari, Ph.D., who works at the University of Kansas, is focused on converting biomes to biochemicals with the use of a catalyst. New catalytic materials can change the use of current technologies to create something better stressed Chaudhari. In addition, John White, Ph.D., with White Technical Research, is a consultant in the food and beverage industry. He focused his presentation on the opportunities of using corn as the basis for a wide range of sweetners, including a product currently in the R&D phase to fulfill consumers’ demands for more natural products.